Ranked among the top 10 water research institutions in the world, the Water Institute is a leader in water research and education. Distinguished by its commitment to 1) facilitating interdisciplinary collaboration, 2) inspiring innovation and 3) building international partnerships, the Water Institute is tackling some of the most complex water challenges of our time. A motto for the prepared home owner: Water is coming. Apologies for jumping aboard the Game of Thrones trend – “Winter is coming” is the motto of a dynastic family in the book and TV series. But there is no overdramatizing water’s malevolent force when you own a house with a basement. Jason Thistlethwaite, professor in the School of Environment, Enterprise and Development at the University of Waterloo, said Quebecers can expect flooding to get worse because climate change is making winter temperatures more volatile. 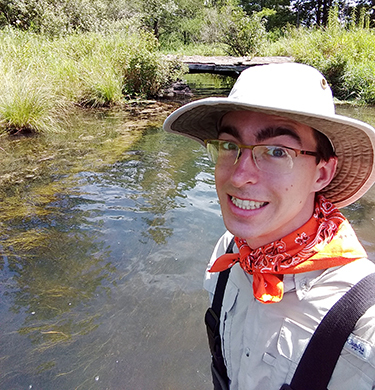 As part of the Water Institute's seminar series Richard Marinos, postdoctoral fellow at the University of Waterloo, will present "Ecosystem Recovery from Acid Rain: Biogeochemical Consequences in the Soil-Stream Continuum." The NovCare 2019 International Conference (Novel Methods for Subsurface Characterization and Monitoring: From Theory to Practice) will take place May 28-31, 2019 at the Federation Hall and Conference Centre of the University of Waterloo. The Water Institute will be hosting an international summer school for international and domestic graduate students on climate change and water security in urbanized watersheds. With over 20 Water Institute members – from all six University of Waterloo faculties – participating as instructors, this program will offer a truly interdisciplinary perspective to students.